Here are 10 facts that will help you understand more about the Mongolian market and your opportunities to engage with Mongolian consumers. Mongolia is a big land with a grand history but in the modern era, not much is known about this beautiful country with a rich heritage. Most people think about Mongolia’s nomadic lifestyle – living in Gers and riding on horseback. This is far from today’s truth. If you are an international marketer that is interested in targeting Mongolian customers, which is one of the world’s fastest-growing economies, this article will help you understand how best to get started. Mongolia is not China. Mongolia has a proud heritage dating back to Chinggis Khaan (the Year 1206), including strong traditions, cultural heritage and a thriving local language (Mongol). Mongolians do not speak Mandarin. Mongolia is an independent land-locked country with Russia, Kazakhstan and China as neighbours. Mongolia is one of the fastest growing economies in the world. In an update of its flagship annual economic publication, Asian Development Outlook (ADO) 2018, ADB is revising its growth outlook for Mongolia to reach 6.4% in 2018 and 6.1% in 2019, exceeding its April estimates of 3.8% growth this year and 4.3% next year. The major industries in Mongolia are mining (copper, gold and coal) and animal products. Mongolia is rich in natural resources, which fuels the demand for imports including technology (phones, computers, cars) and consumer goods (FMCG, luxury items). There’s a strong demand for a quality foreign brand from Europe and other parts of Asia (Japan, Korea, Singapore and Southeast Asia). Mongolia is a young country with the average age being 27.5 years. About 65% of the population is under the age of 35, while over a quarter of that population is under the age of 15. Mongolia has only 3.17 million people. Out of 3.17 million 50.6% is Female and 49.4 % Male in 2019. (https://countrymeters.info/en/Mongolia) The future of the country is in the hands of its young people, but much of the spending power in the country right now resides with more mature consumers. For now, the majority of affluent consumers are aged 30-plus, even for what might be considered quite youthful brands in other markets. Marketing in Mongolia is a tale of one city. Most of the population of 3.17 million people live in the countryside (a nomadic lifestyle, living in Gers) or live in the capital city Ulaanbaatar. 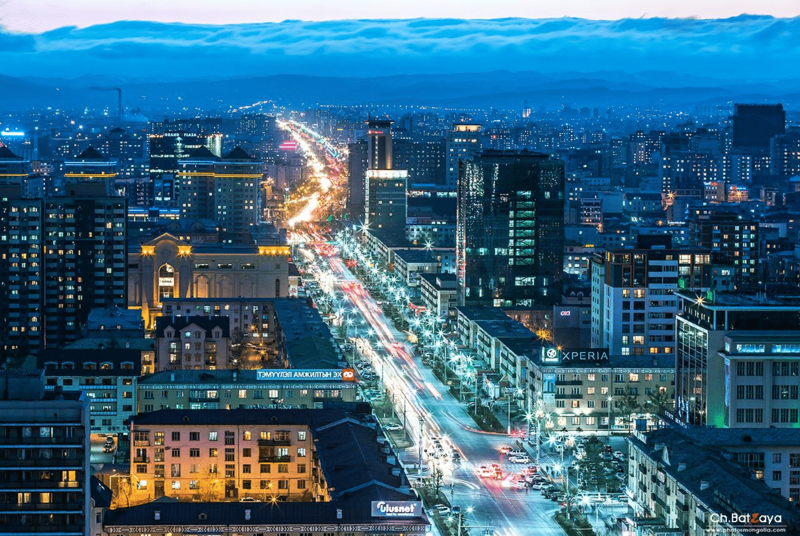 Ulaanbaatar is a city of contrast where modern life comfortably blends with traditional lifestyle. Television is the most watched media channel and still the best way to reach Mongolian consumers. MEDIA Television has for decades been a magnet for consumers looking for information and entertainment. There is a long history of video production in Mongolia, and TV ads look as professional as any produced around the world – and can be made for about one-tenth of the cost of making them in Singapore. For instance. The growing availability of internet access and smartphones, however, is transforming the way Mongolian people – particularly the young and those with higher-than-average incomes – are connecting with the wider world. Increasingly, consumers are turning to their friends rather than established news media for updates on things that matter to them. The television news is still the first place they turn for news, but email, word of mouth and social media combined are just as influential. Internet penetration is low at 40%. More affluent consumers are digitally-savvy but mass use of digital marketing has yet to happen. Internet penetration in Mongolia has increased strongly over the past five years as a higher proportion of residences decide to take a fixed line access option. Penetration is however predicted to only increase slightly over the next five years to 2022. There is a continued migration from fixed-line services to mobile operators that have a much higher availability in the rural areas and access to applications and services in the urban areas. Fixed broadband penetration in Mongolia remains low mainly due to a limited number of fixed lines and the dominance of the mobile platform. Everyone has a mobile phone. Mobile marketing is the best way to reach people. 3G/4G internet. Many people’s first phone is a mobile, and first internet access is via a smartphone rather than a laptop or desktop. Hi-tech vision 4G technology was launched in 2016, which created new opportunities to develop digital services – and enable mobile operators to drive new sources of revenue from data. There are four mobile networks in Mongolia. The market leader is MobiCom, followed by Unitel, and SkyTel, which has about a quarter of the market. G-Mobile is the newest network and focuses on consumers in rural areas. Social networking (via mobile) is important. Facebook and Instagram are Kings and Queens. Facebook utterly dominates the social media landscape in Mongolia, about 94 percent of all social network usage. Many people run small businesses through Facebook and Instagram. Facebook groups have become a popular way for companies to communicate with their consumers but also with their business partners and their staff, via the members-only group. Twitter is the next most popular social network and accounts for about 2.5 percent of social media activity. It is used in a very different way to Facebook and is used almost exclusively by the political and academic classes and by the media. Mongolia’s marketing scene is dominated by local advertising agencies. It was only in 2014 that the first international agency entered the Mongolian market (Y&R / WPP). Advertising is a growing industry and there are increasingly better, more creative advertising campaign emerging from these independent agencies. Can I ask you what is the third option where the minority of people lives? You say ‘majority lives in the countryside or live in the capital city’, logically I assume there is the third option for the rest.